You can reduce the time spent searching for resources several dozen times using the Starter Kit addon. 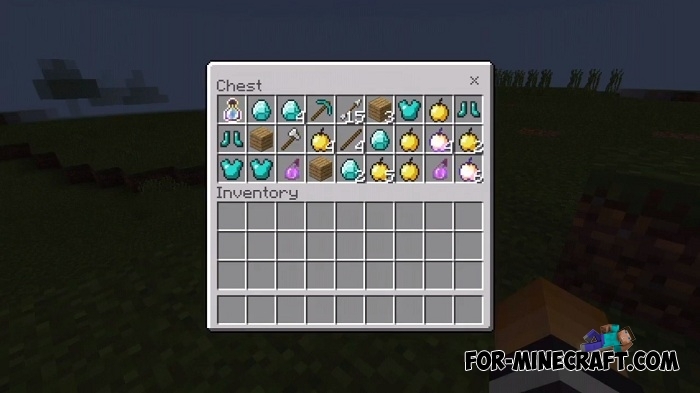 Perhaps you know that when creating a new world, there is an option that allows you to add a bonus chest filled with things such as some food, the simplest tools and wooden armor. This addon completely changes the contents of the chests and now you get one of the rarest and necessary things in MCPE. These include diamonds, diamond tools and armor, potions and the best food. This kit is optimal for a sharp start if you do not want to start the game from scratch. A bonus chest will appear next to you right after the map is loaded. How to install Starter Kit?